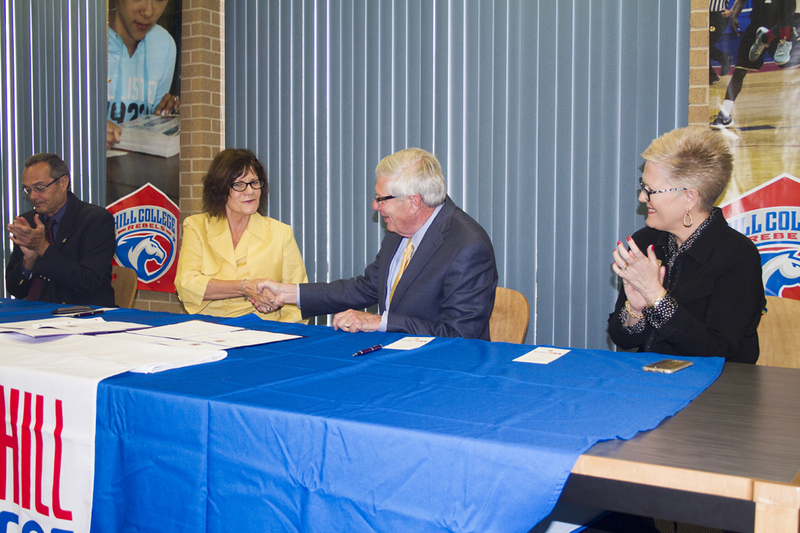 Hill College and Hardin-Simmons University (HSU) signed a comprehensive articulation agreement that defines a transfer option for students between the two schools, effective fall 2017. The agreement has been designed to make it more convenient for Hill College students to transfer to Hardin-Simmons. 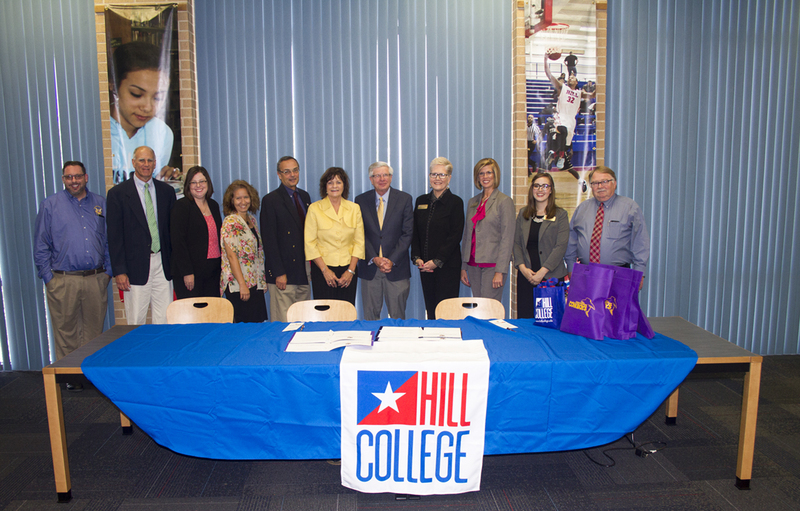 "Hardin-Simmons University is thrilled to partner with Hill College and provide a clear pathway for Hill College students to transition to their four-year degree at HSU. Hill College students are used to a high level of service and personal interaction, and HSU is known for exactly that, so we are excited to open our doors to any Hill student who's ready to take the next step," said Dr. Laura Pogue, Dean of HSU's General Education program. Hardin-Simmons will accept up to 66 hours of course work from Hill College. Thirty-seven hours of general education courses have been listed as transfer equivalents in the agreement, including courses in: writing, communication, literature, fine arts, math, technology, science and social science.